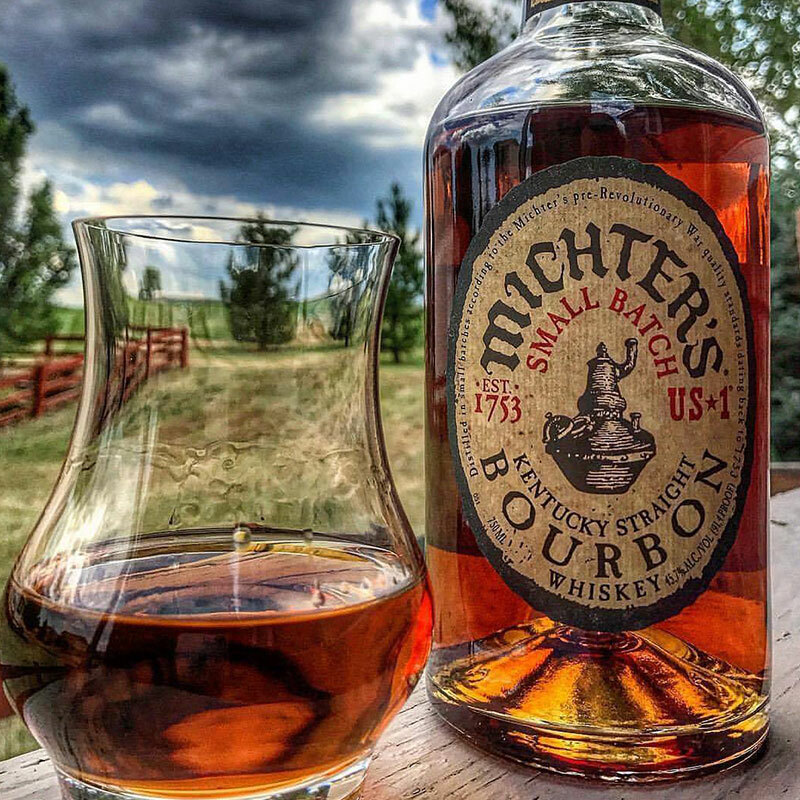 For all you Kentucky Straight Bourbon Whiskey enthusiasts, let me introduce you to Michter’s bourbon – an outsider that deserves more accolades than most of the other liquid gold that comes out of the great state of Kentucky! But the expertise that goes into the production of Michter’s 1 can be credited to Master Distiller Willie Pratt, a Louisville, Kentucky native and a Brown – Forman veteran. During his tenure there, Mr. Pratt co-chaired a special committee formed specifically to study the art of barrel construction in order to identify optimal distillation and aging conditions for whiskey flavor. Today, the Michter’s distillery is located on historic Whiskey Row in Louisville, Kentucky. Michters has an entire line of whiskeys crafted in the same tradition, but with a few different mash bills for variety. When I first grabbed the Michters bottle, I was hardly prepared for the experience. I figured this would be another ho-hum whiskey – boy I was wrong! I removed the cork and whiffed the bottle. I was greeted with honey and clovers – flowers and spice. This is like springtime in the dead of winter. The first sip raised my spirits (see what I did there?) with a light and slippery smooth texture. There was the ever so slight drag of bitterness on the back of my tongue that caught my attention. After the first swallow, the sweetness and woodiness of honeycomb mellowed the sting of the proof. The structure was somewhat awkward, but the dance between the flavor, texture, and proof was entertaining to observe. The finish was as lively as the front, dissipating into lemon and molasses. Michters U.S. 1 is my absolute favorite springtime bourbon. However bad your mood, a few sips will raise your spirits, and no matter what cocktails you may construct with Michters, they will come out winners. I experimented with the perfect Cobbler recipe for hours before settling on Michters as my liquor of choice, and there is none more perfect a Manhattan than that made with Michters. All in all, I give Michters U.S. 1 Bourbon an A-. Learn more about how we grade bourbons. US1 is priced right. You can order a bottle for as low as $20!If you are lucky enough to come across a bottle in your neck of the woods, consider it a mandatory buy. Michters is currently distilled and bottled in bardstown, ky. It is rectified Kentucky bourbon. The only connection it has to the old Pennsylvania distillery is the fact that they bought the brand name. Great info! Thanks for contributing to our collective knowledge, and we will be sure to update the article! Love that Michters. Drinking it now. Based on your review, Michters just shot to the top of my “must-try” list, with a bullet! Thanks! Just picked this one up from the store and have been LOVING IT! Wanted to see what the whisky community thought of it and I am glad to see it getting it’s due. I do not think that you could do any better at all in its price range. I cant find how long its aged dose any one know. And this stuff is really good. Michter’s is a NAS (No Age Statement) whiskey so how long it’s aged isn’t disclosed to the public.